These are a shorter version of our Bridget pant, in case you were wondering. They're just as durable, just as soft, and just as flattering, with a high waist and a straight leg (so they won't pinch when you sit down). 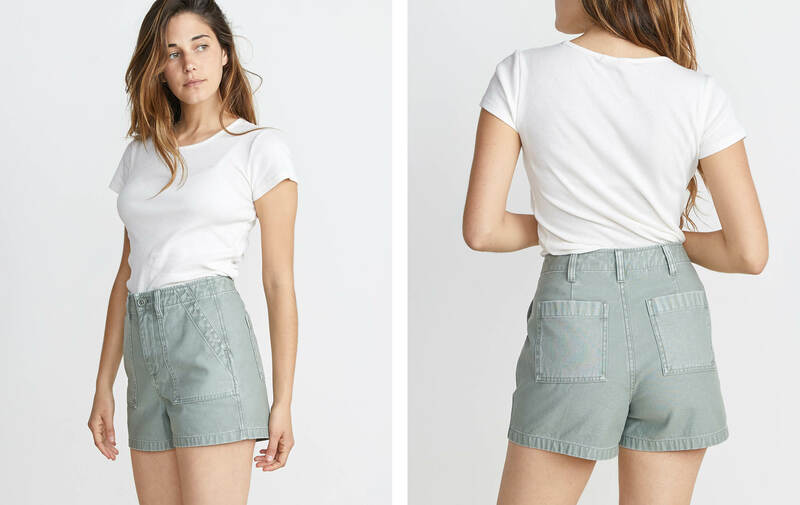 Bonus details: true vintage details like as double-cotton closure and patch pockets. Made with a custom fabric that we developed from scratch just for these pants. 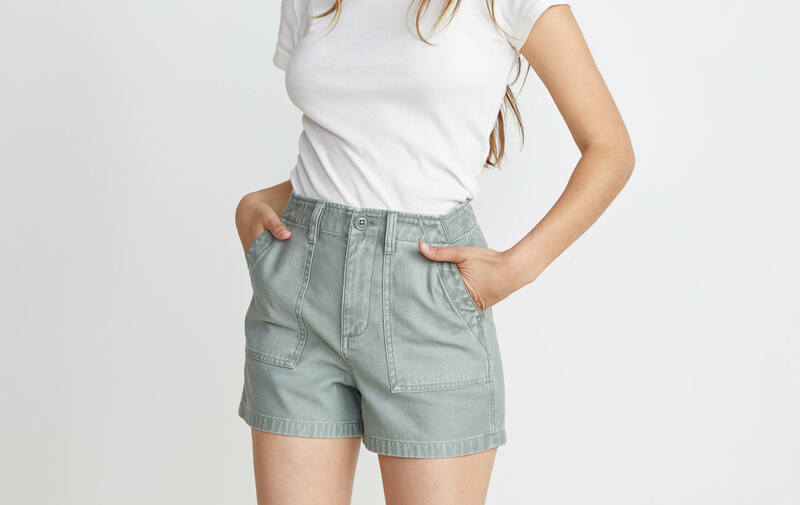 It's made with 100% cotton canvas which is a sturdy, durable fabric that we garment-dyed and stonewashed for a soft, structured, durable short that'll hold you in all the right places. 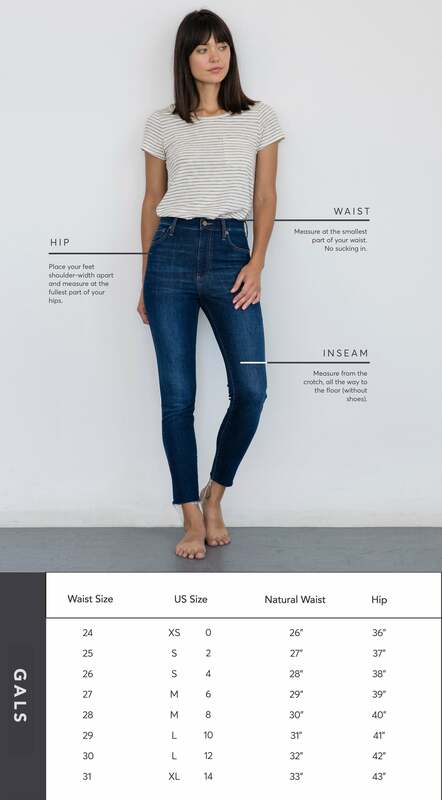 Slim fit in the waist to hip area. Straight leg.